This month, we’re speaking to the winner of our first Art Instagram competition: Maria Jimenez. 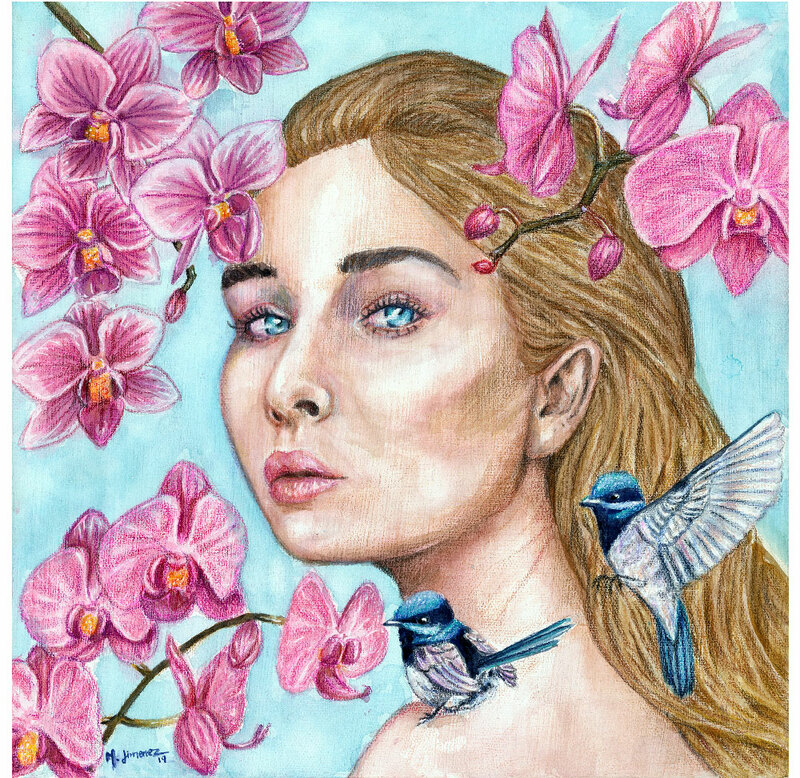 Maria’s winning entry, ‘The Players’ (cover art), captivated us with its ethereal-meets-natural blend. Here, she tells us more about life as a budding Instagram artist, and the inspiration behind her wild works. Firstly, congratulations on winning the competition! Had you heard of the concept of synaesthesia before? Thank you! I was honored to be chosen as the winner of your contest. Synaesthesia was a completely new word to me when I stumbled upon your magazine on Instagram. Your art usually pictures women as a focal point. What draws you to painting women? Women can represent so many different things. 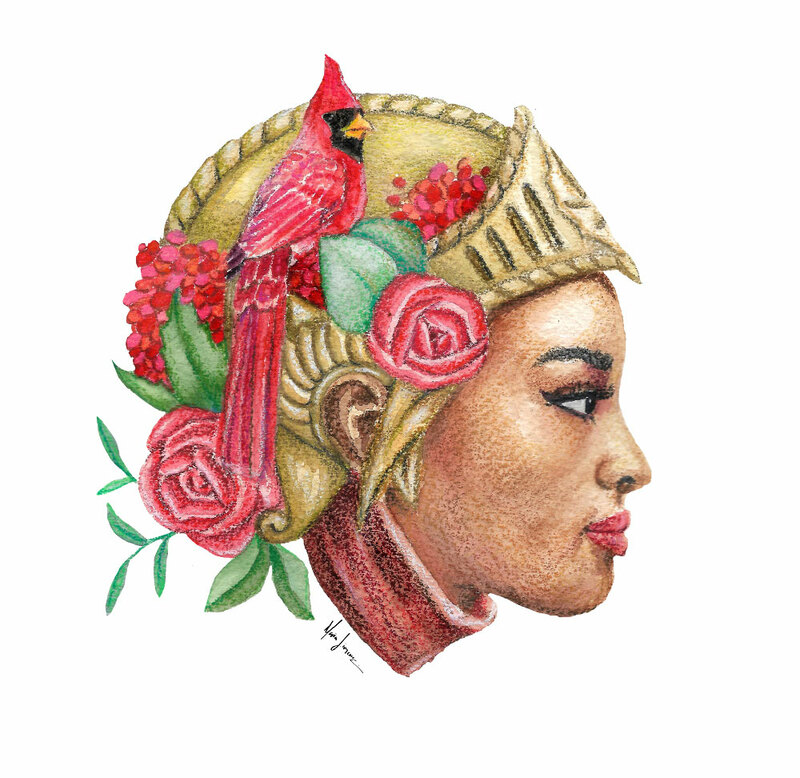 You can have a strong warrior queen, or a gentle mother and anything in between, so there's really no limit to the ideas I can work with. Lately, I've been interested in themes of nature, so female subjects have been perfect for that. Tell us more about the story behind your winning entry, for the hands art prompt. With ‘The Players’ (below), I wanted to explore both the harshness and the nurturing sides of the sea. 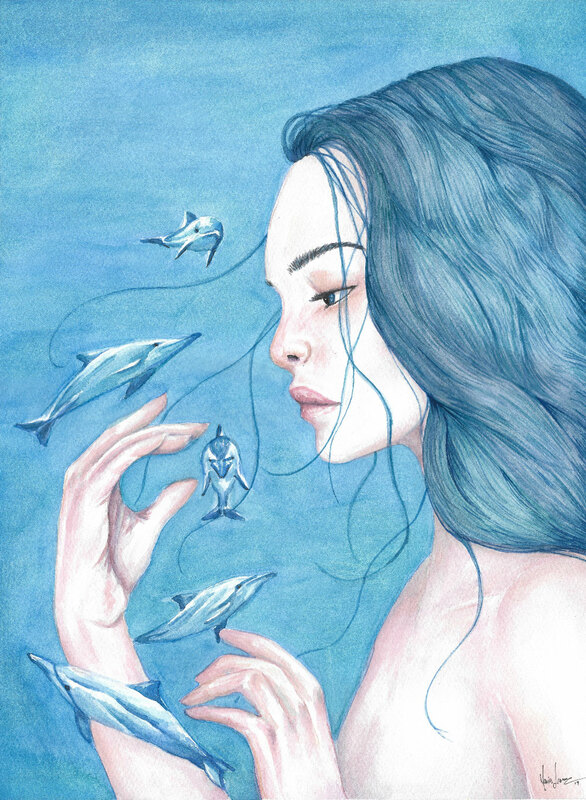 The woman represents the ocean herself and I chose to give her a neutral expression so it's not entirely clear how she feels about the dolphins around her. They are in her power and she can just as easily harm them as she can care for them. I've always been a bit intimidated by the ocean so some of that attitude probably leaked into the idea but you can still interpret her however you like. The dolphins are a bit more positive, and choose to put themselves in her hands. To them it's part of the game of life. I guess their attitude is more like all the ocean lovers I'm constantly around! I use a lot of animals and natural elements in my work that probably came from my love of travel and the outdoors. Hiking and camping have always been some of my favorite things to do. Wanting to draw some of the animals that I saw was one of the reasons I learned to draw in the first place. Another big inspiration is mythology. It's great to think about how people personified different things, and why. With all the different stories, versions, and cultures, there's an endless stream of ideas to work with. What advice would you give to an artist starting out on Instagram? There are a couple of things that I've seen are really important. The first is to get good pictures of your content. The better you present your work the more likely people are to appreciate it, especially with a visual platform like Instagram. The second is that you have to interact with your audience and others on the platform. Comment, reply to comments and take part in contests and challenges when you can and when it makes sense for what you do. As an Instagram artist, what do you love most about the platform? And what frustrates you? Instagram has introduced me to so many incredibly talented artists and people. I could get lost scrolling through the Explore page! It makes it so easy to find new artists, new art styles and gives me an endless source of inspiration. Seeing all the beautiful art has also helped push me to make my own work better. The frustrating part has been how Instagram doesn't always show me posts from people I follow. Who knows how many posts I've missed, or how many of mine have been lost in cyberspace. At least it gives me extra incentive to check out people's profiles regularly and see what I've missed. What's next in your portfolio? I've been learning to oil paint recently so hopefully there will be some oil paintings in my portfolio soon. I've also had a bunch of more mythology inspired ideas that I've been dying to move from rough sketches to fully finished pieces in the near future. Maria Jimenez is a Colombian-American artist who spends her time traveling between her native Colombia and her much loved Pacific Northwest. She loves to add elements of the natural world to her compositions and loves exploring the ties between people and nature in her work. When not painting or sketching she enjoys hiking through the woods, reading, testing crazy new recipes and lounging with her dogs and a good cup of coffee.